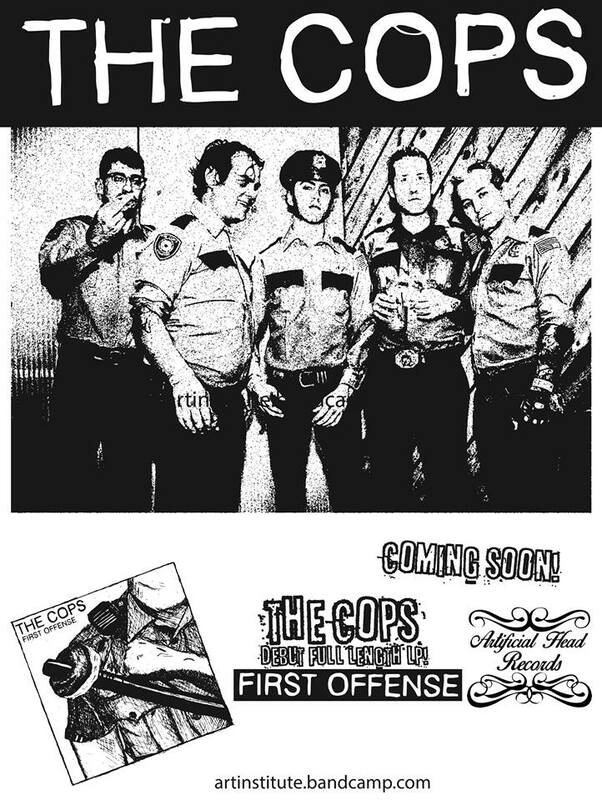 The COPS are a cop-punk band from Houston, Texas, "enforcing punk rock and disorderly conduct." They're a bunch of correctional officers who when not on duty as the punk police moonlight in a number of other local bands such as Talk Sick Punks, Muhammadali, Killer Hearts, Poizon etc. For side one of the album the line up featured Tony Fulco, Jeff Smith, Geo White and Phillip Smaller, for side 2 vocalist Fulco and bassist Smith are joined by rookie cops Brandon Barger, Halston Luna and Casey Kemp.